Pencak Silat are the martial arts from Indonesia & Malaysia known for their vicious use of bladed weapons. Kuntao is the old hand Kung Fu (including Tai Chi, Xing Yi & Bagua) that migrated from southern China down to the jungles of South East Asia. These arts have been mixing for centuries and together they make an explosive & powerful combination. 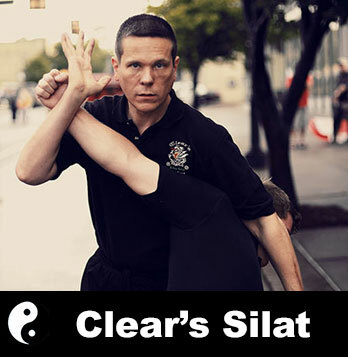 Clear’s Silat is dedicated to preserving the street-practical self defense side of these arts combined with the efficient & effective teaching methods of “inner door” family style training. For over 40 years Sigung Richard Clear has developed these programs based on his extensive studies in the martial arts of Indonesia, China, Tibet, Russia and other cultures. 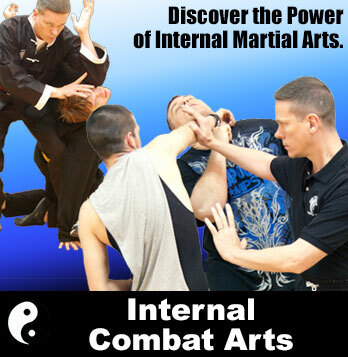 Fighting Secrets of the Internal Combat Arts; an online course in Xing Yi, Bagua, Kuntao Silat, Tai Chi & Qigong. Sigung Clear strips away the fluff & filler to teach you how these systems really fight and why they are so powerful. This series is packed with powerful no-nonsense self defense that will give you deeper insight into how each of these arts is really used.